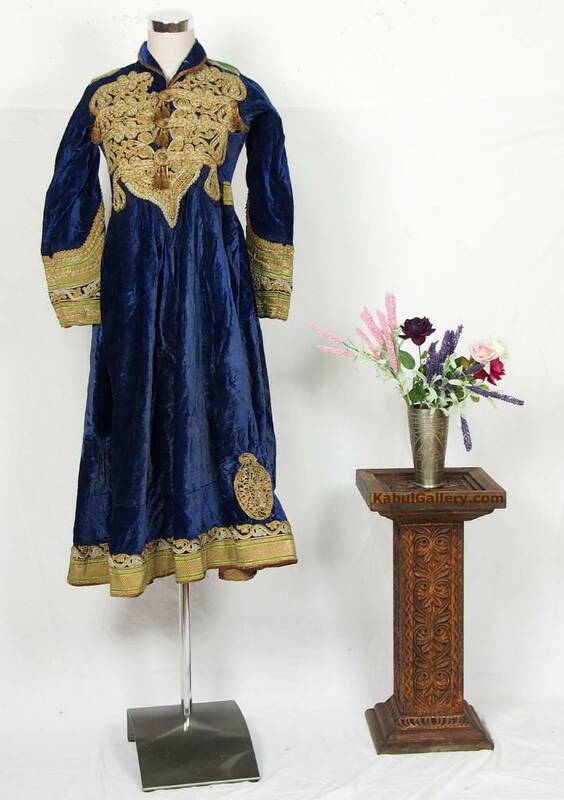 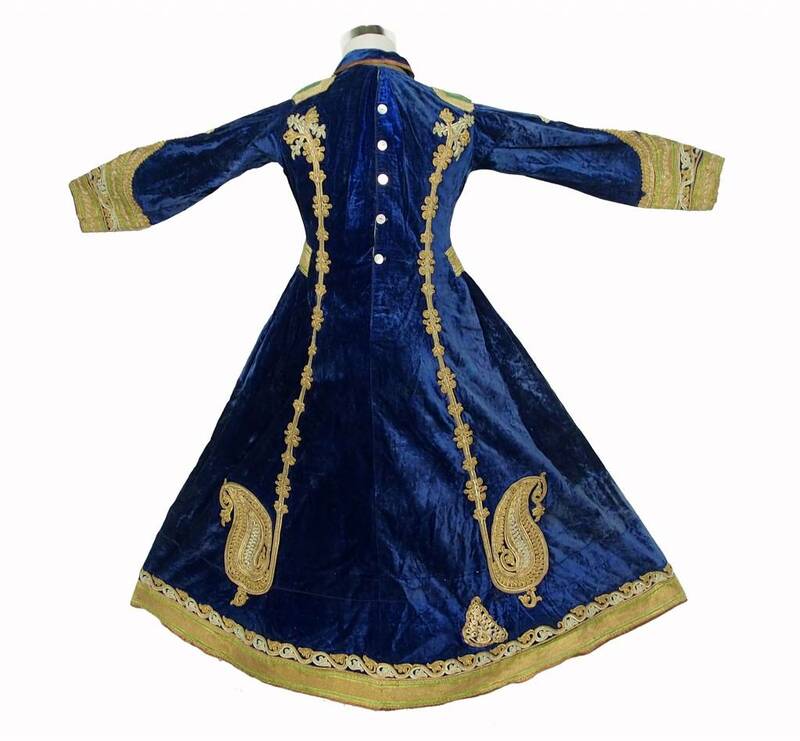 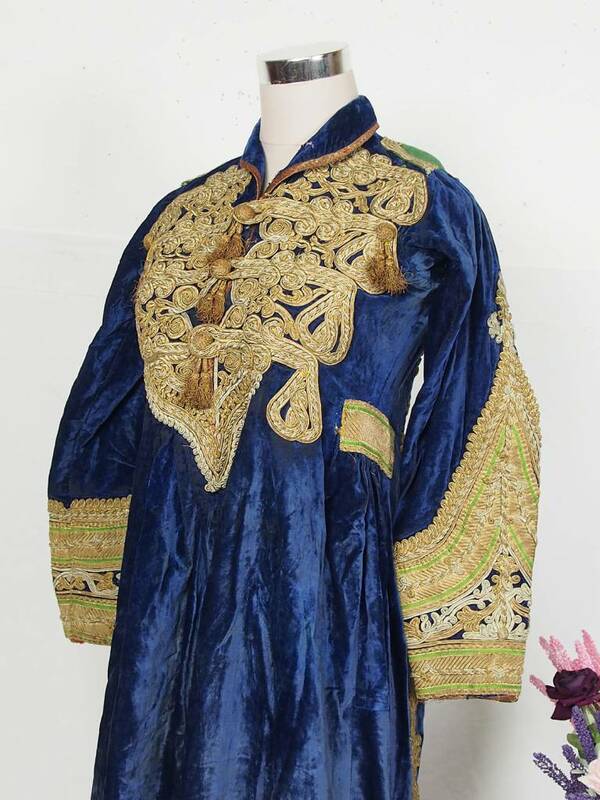 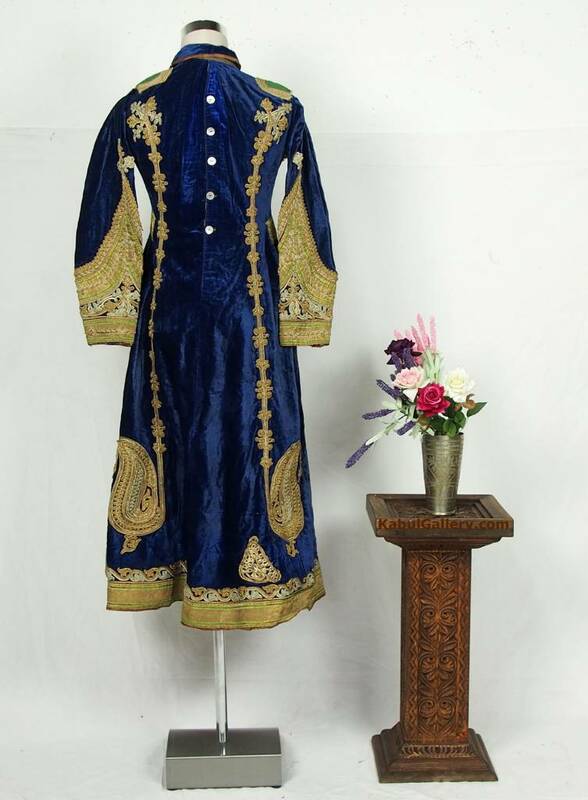 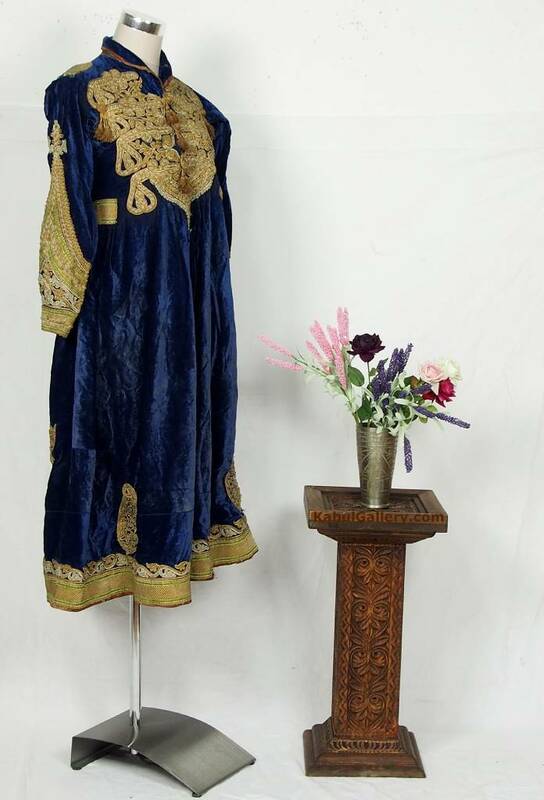 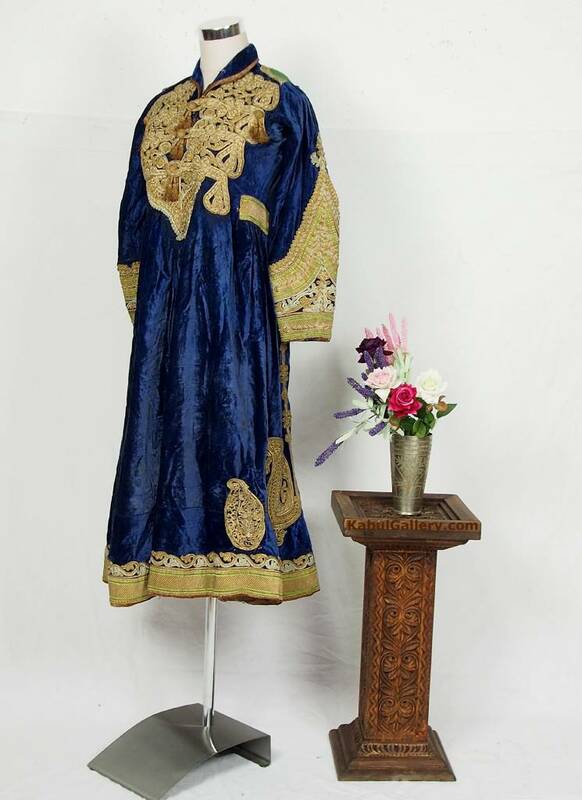 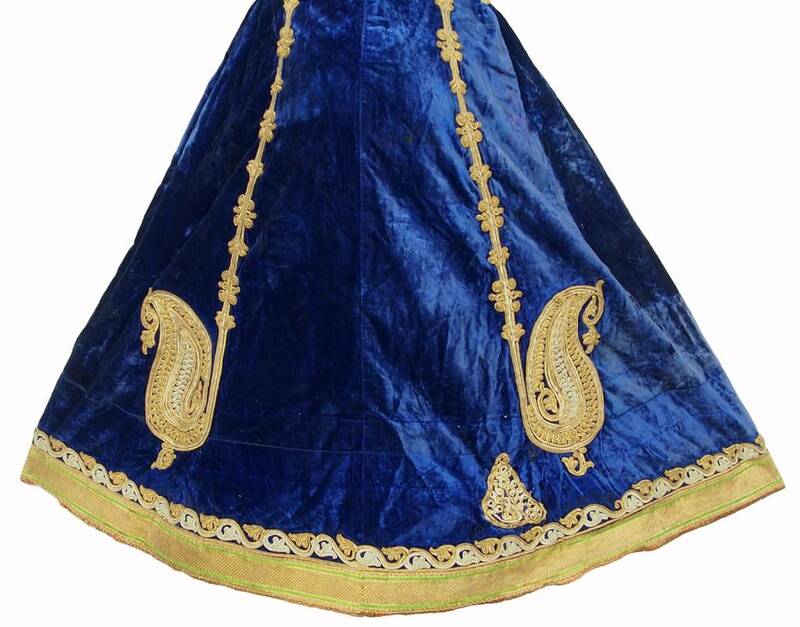 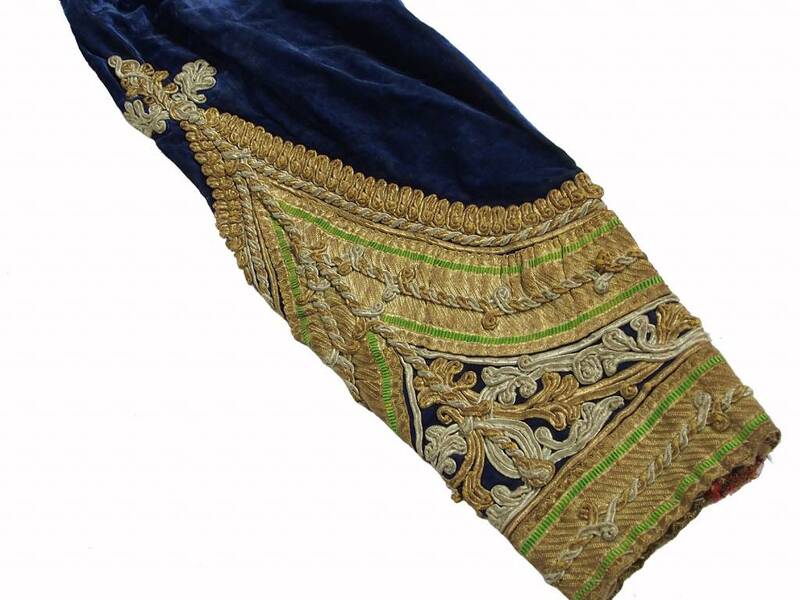 Antique Hazara Woman`s velvet gown, adorned with couched gold thread. 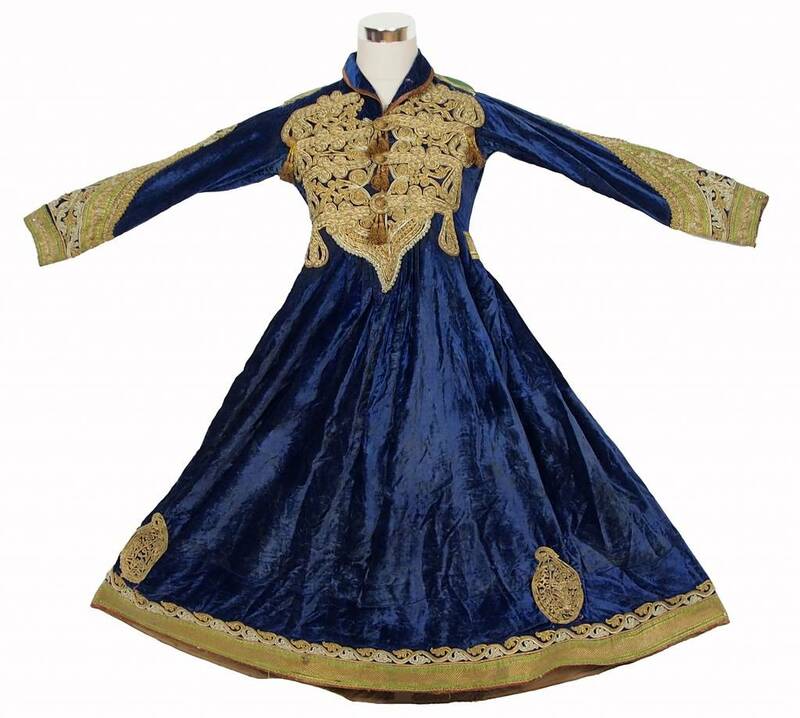 The offered Hazara dress is original and antique, handcrafted, sometimes very intricately crafted nomads - textiles from Afghanistan. 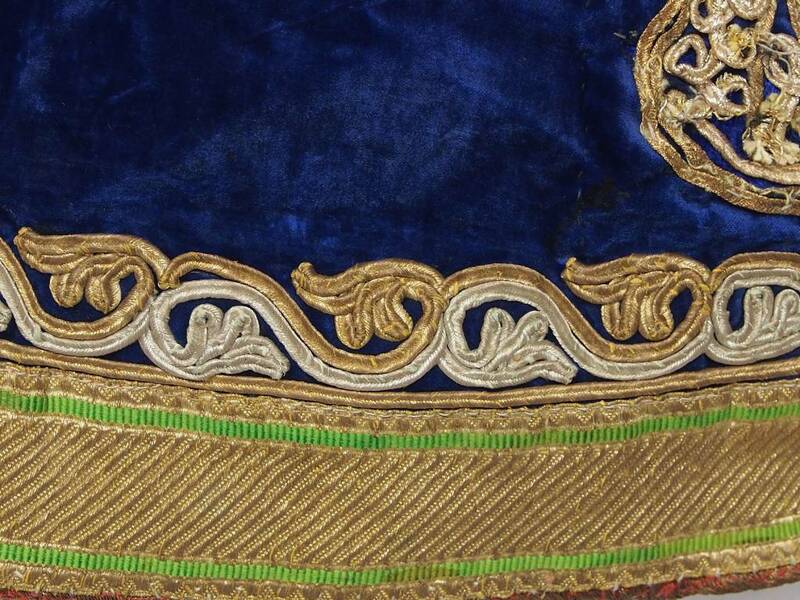 After years of use before the tribes there is, of course, the spots may be in the pieces may be missing small parts, the embroidery can be damaged or discolored, or be repaired.